Greetings, my dear humans! Here’s an update on the forex signals made by the SMA Crossover Pullback mechanical system on the currency pairs I’m watching. If this is the first time you’re reading about this strategy, make sure you check out its forex trading rules right here. As I’ve shared in my previous blog update, three out of the four pairs I’m watching were able to generate short signals and the profit targets were hit last week. 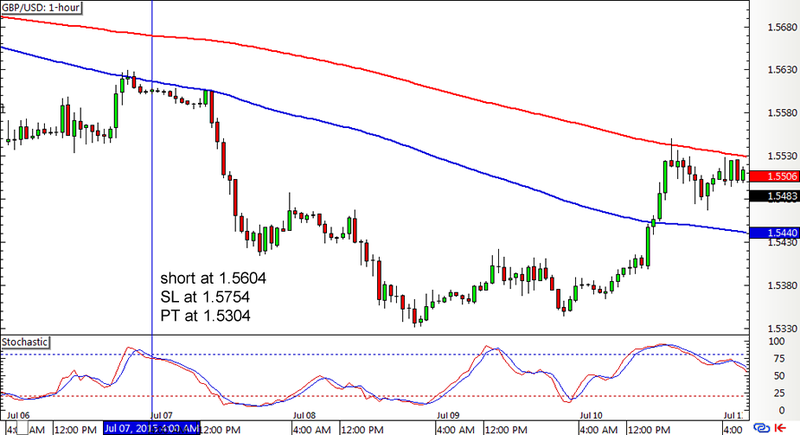 Summing it up, the SMA Crossover Pullback forex mechanical system was able to churn out a total of 900 pips or 6% for the short trades last week. Ka-ching! Ka-ching! So far, this position is still open, as the pair only reached a low of 1.5331 later on on in the week before pulling back up. I’m keeping my fingers and toes crossed (Oops, I forgot I have none of those, but you know what I mean) that the profit target will still be reached this week. I’ll keep y’all posted!